Are Passiflora Passion fruit edible and more! Q Are the Passion fruit edible & how do I know if they are ripe? Q Can you identify this passion flower for me? 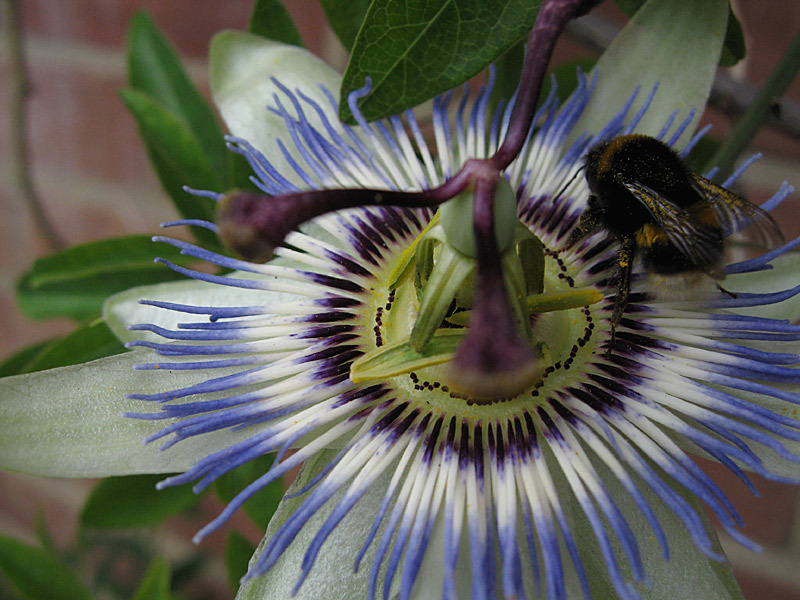 Q What are the best Passiflora to start with? A If you are a beginner start with the most widely available plant, Passiflora caerulea (the common passion flower), as it is quite hardy & free flowering. If you want a larger more vigorous hardier plant try one of the Riverside® Hybrids, Passiflora ‘Damsel’s Delight’ or Passiflora ‘Snow Queen’ – HTA National Plant Show 2017 Shrubs and Climbers Gold Award winner. Check out our hybrid and species Gallery. Q Passion flower pruning – When should I prune the Passiflora back? A Leave the plant looking messy over winter & prune only after growth has restarted. Even then always leave some long straggly bits. When pruning never cut hard to the main stems. Never prune late in the season. Q What pest problems do they get? A See Pests & diseases in our plant info section. Q How do I produce new hybrids? Q How do I take cuttings? Q Can I dig up and move my passion flower? A In some climates you can get away with it, but the roots are very fragile in most Passiflora so they may suffer suffer from transplant shock and die. Q Why have I got no flowers? Q How do I germinate the seed? Q Where should I plant them? Q What soil should I grow them in/do they need feeding? Q How often should I water them? A Daily when newly planted in the ground. Once established water heavily only once a week to encourage roots to go deep. If in doubt keep them slightly dry.